In a few words describe what your role is here at Lower Marsh Farm and how long have you been here? We moved here in February 2015. It wasn't being run as a business at that time so we've enjoyed pulling it all together and watching it evolve into the fantastic place it is today. What do you love about Lower Marsh Farm? I love the wildlife, the accessibility of the river and the feeling of space. We moved here so that the children could enjoy more freedom and grow up learning about the countryside and we haven't been disappointed. What is your favourite season at Lower Marsh Farm? Normally the Winter, as each time plants pop up or you see birds nesting or there is a frost, it feels so exciting. Winter beach walks always feel great (and beautifully quiet) then Summer trips come around and the digging in the sand starts! If we had to choose, I guess it would be Spring time. Where is your favourite place to visit in Cornwall? I love Port Wrinkle beach, visiting Cotehele, a trip to Bodmin Moor and meandering around the Lost Gardens of Heligan. 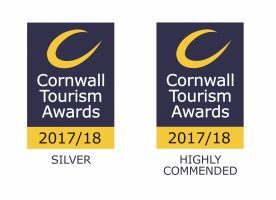 There is so much to see and do in Cornwall that it's difficult to choose! I am the gardener and take care of the estate here at the farm. My time is spent on day to day garden maintenance and other crucial seasonal jobs such as fencing, hedge laying and woodland management etc. I love it here because of the tranquillity of the location and the great variety of wildlife that I encounter. Spring is my favourite time of year - I think we all love the Spring here. Vibrant colours start to emerge but I'm also very keen on the autumn tones too. My favourite place in Cornwall is Mount Edgecombe but I'm very fond of the coastal path along the South Coast. I love meeting the guests and working with a friendly and welcoming team. It's wonderful all year around here. I couldn't choose - Cornwall is full of amazing places to visit.